Location: Tigray region, Ethiopia Grid Reference: 14°07' N, 38°44' E.
The area of Axum is home to what was once seven large stelae, all decorated in the same style, with doors and windows and astral imagery at the top. The largest (still standing) is 21m high (70ft) but there were larger with the heaviest, now fallen and broken estimated to have originally weighed in at around 500 tons. Axum was the ancient political and religious capital of Ethiopia. Though the exact date of its founding is not known, it is known that the Queen of Sheba, who reigned around 1000 B.C. 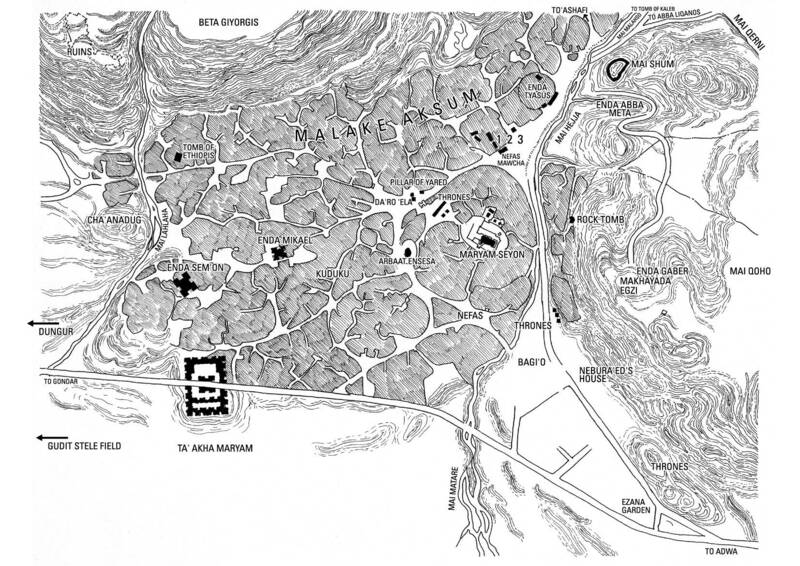 had Axum as her royal capital. 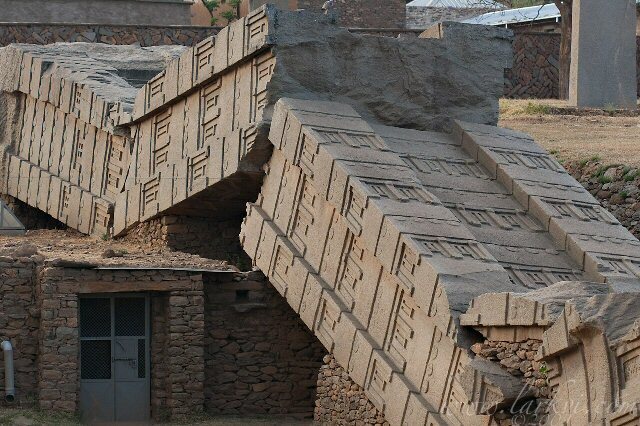 Axum was also rumoured to be the home of the Ark of the covenant. The Northern Stelae Field contains more than 120 stelae made of smooth, grey stone. The stelae are each made from single pieces of granite and stand as high as 82 feet. All the Axum stelae face south, and so watch the sun on its daily journey across the sky. The Stelae were carved and erected in the city of Axum (in modern-day Ethiopia), probably during the 4th century A.D. by subjects of the Kingdom of Aksum, an ancient Ethiopian civilisation. The largest of the grave markers were for royal burial chambers and were decorated with multi-story false windows and false doors, while nobility would have smaller, less decorated ones. Although there are only a few large ones standing, there are hundreds of smaller ones in various stages of disrepair. Over thirty-three metres tall, the stele represents a thirteen storey tower, with elaborate window-tracery, frames, lintels, beam-ends, even a door with a bolt. 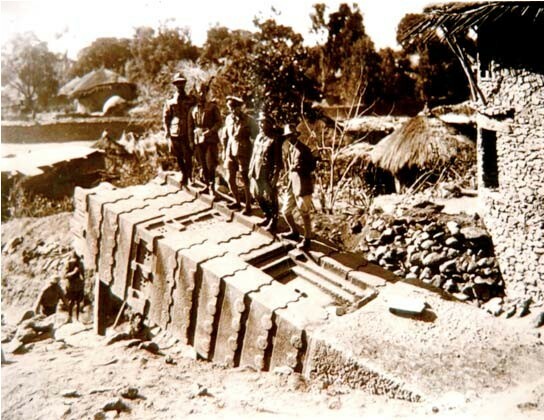 In 1937, the Axum Obelisk was cut into six sections and dragged by hundreds of Italian and Eritrean soldiers (for more than two months) to the port of Massawa. It arrived via ship to Naples (on a boat called Adua ), on March 27 1937. Then it was transported to Rome, where it was reassembled and placed on October 28 1937 in Porta Capena square, Rome. On 28th May 2002 an Act of God reminded Rome of the spirit of the pillar. It was actually on the eve of the Ethiopian Independence Day that lightning struck the obelisk on the Piazza and damaged the tip. 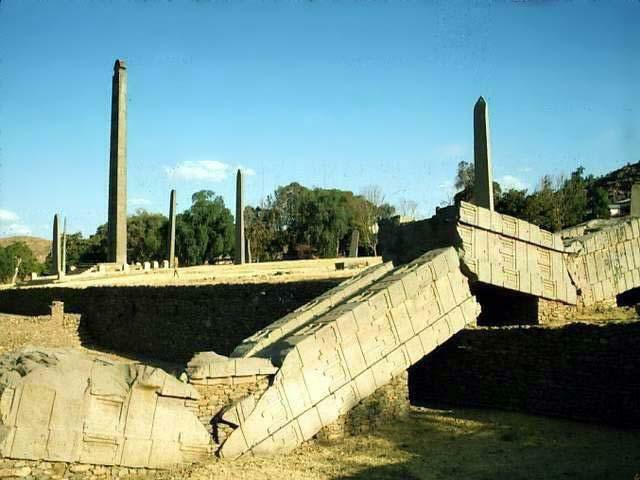 One of a group of seven obelisks erected at Axum when Ethiopia adopted Christianity under the Emperor Ezana in the mid-fourth century A.D., the 78-foot-tall monument was taken by the occupying Italian army and shipped to Rome in 1937 to celebrate Mussolini's fifteenth year of power. It was erected near the Circus Maximus and stood there until it was dismantled in 2003 following a lightning strike that had damaged the top of the obelisk the year before. The obelisk was cut into three pieces in order to transport it by back by plane and the airport was extended in order to land the plane. 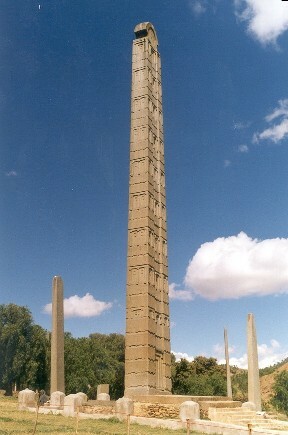 Photo of the Axum obelisk in its original position. Stela 'I' as it is today. (2009). 2). Herausgegeben von Uhlig, Siegbert, Encyclopaedia Aethiopica: D-Ha (Wiesbaden: Harrassowitz Verlag, 2005), p. 871.